Do we have enough conference rooms? Of the right size and configuration? Do we have a reliable method for reserving conference rooms? Who is misusing the conference rooms? Are only 3 people in a 20-person room? Can the right AV equipment, materials and catering be delivered on time? Growing organizations learn quickly that handwritten notebooks and self-managed systems like Outlook don’t deliver the important functionality that support productive meetings and collaboration. 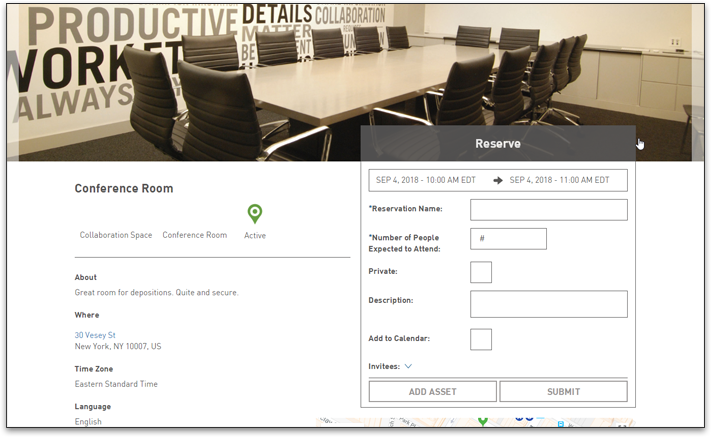 With AgilQuest’s meeting room booking solutions, make it easy for your employees to find and reserve the best place to collaborate, while providing the organization utilization data for understanding how the conference rooms are being used. Find out more about our two workplace booking solutions, OnBoard and the Forum, and contact us today for a demo or to start a free trial!